Use rainbow chard for this if possible, just so you can enjoy the colors. Otherwise, any variety of chard works great here. Make sure you wash your chard really well. the leaves and stems can hide bits of dirt and such that you don't want migrating into your food. Preheat oven to 350ºF. 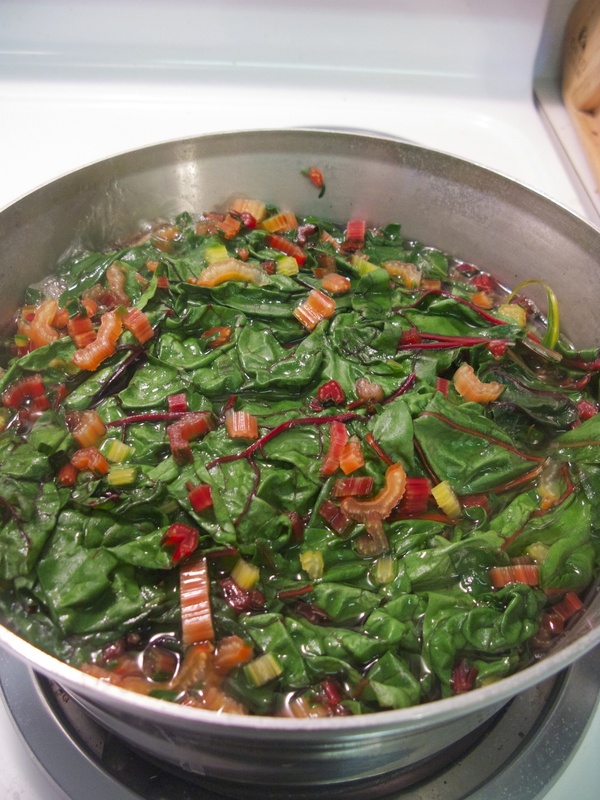 While your water is coming to a boil, de-stem your chard. You'll need about half of the stems. You can use all the stems, but know that it will be a bit more chewy in the end. Chop up the stems really fine. Step back, enjoy the riot of color in front of you. Throw the chopped stems in the boiling water and let cook for about two minutes. Pile all your leaves on top of the pot. It's ok if not all of them fit. They will, once the bottom leaves start to shrink down. Cook the whole mixture for another three minutes, then drain and let cool. 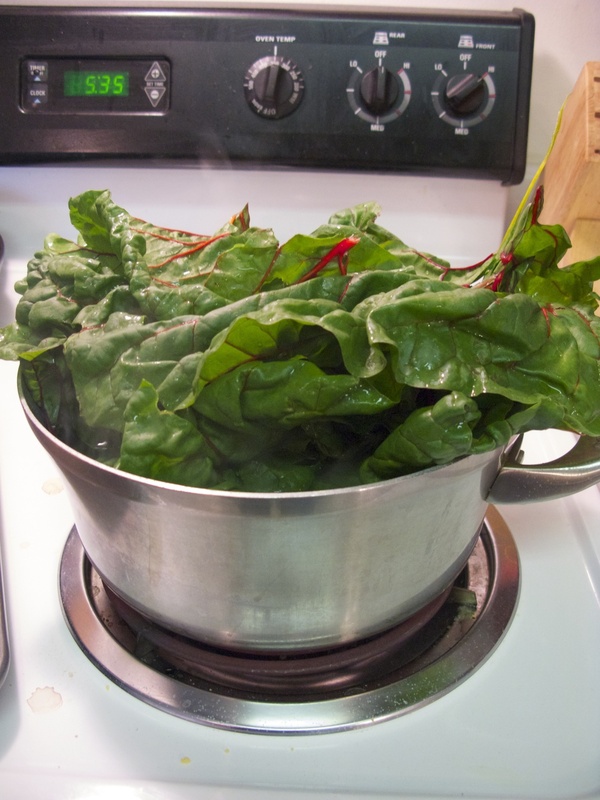 Squeeze out all the excess water from the chard, then roughly chop it. My family prefers it chopped pretty finely. Chop one whole onion and sauté it in 1 1/2 tablespoons of butter for about five minutes, or until it is translucent. Add the chard and a bit of salt. Cook for three minutes. Sprinkle 2 teaspoons flour over top and stir well. Then stir in 1/2 cup of milk, and a bit of freshly grated nutmeg, if you like. (It's really good with the nutmeg, but only the tiniest amount! It gets overwhelming fast, especially if the nutmeg is fresh.) Cook for five minutes, letting the milk cook down and thicken. The chard shouldn't be floating in milk, but should look a bit creamy. Taste and add salt if needed. 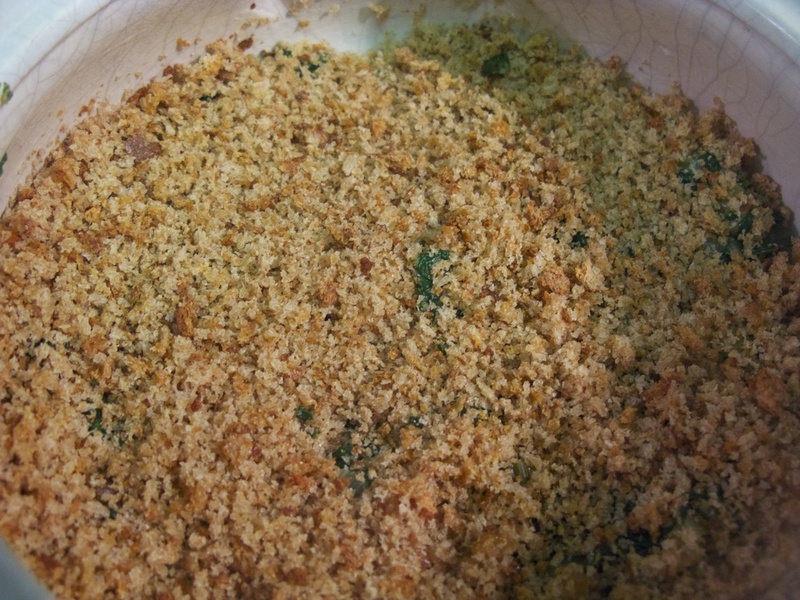 Top dish with toasted breadcrumbs. (I often throw a slice of sandwich bread in the food processor really quick and skip the toasting at this point, as I usually forget. It doesn't hurt anything, though the texture is usually a bit nicer if you toast the breadcrumbs first. 10 minutes in a 350ºF oven will toast them quite nicely. Bake for 20 to 30 minutes, or until the gratin is golden and bubbling. Enjoy! I've made this with a mix of baby chard, baby kale, and spinach, and it was also really good. Just note that if you make it with normal kale, you have to de-stem as with the chard, whereas the baby mix you don't! Wash and stem the chard. Save half the stems and slice them thin. 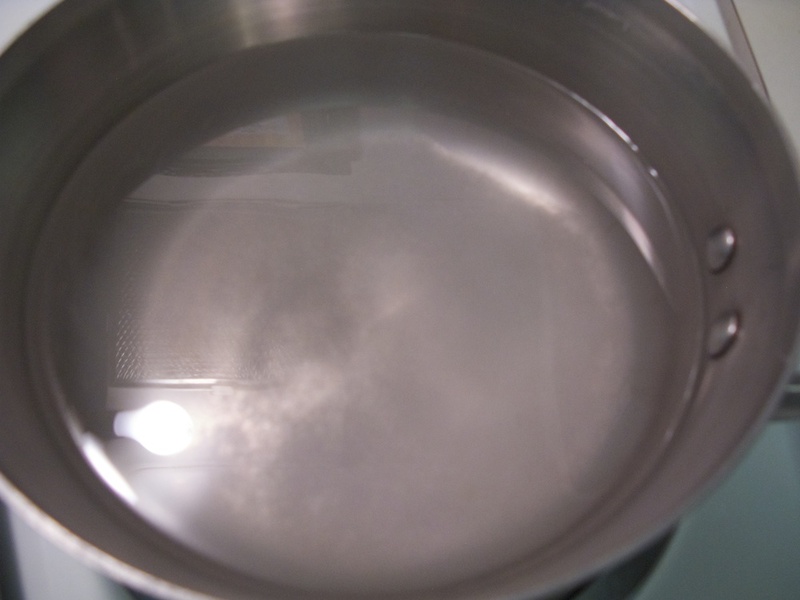 Bring two quarts of salted water to a boil and cook the sliced stems for two minutes. 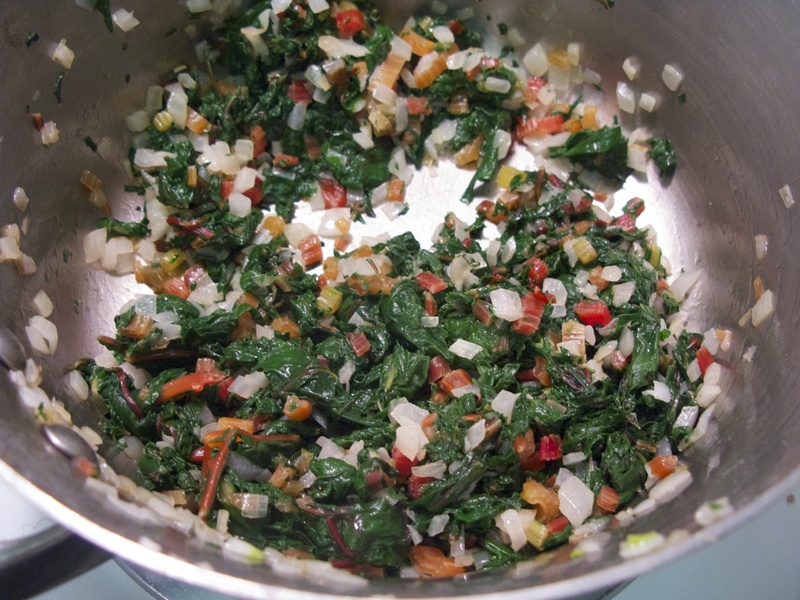 Add the chard leaves and cook until tender, about three minutes. Drain and cool. Gently squeeze out the excess liquid from the stems and leaves and coarsely chop them. Toss together the breadcrumbs and 2 teaspoons melted butter, and brown them in a 350ºF oven for 10 minutes. Set aside. 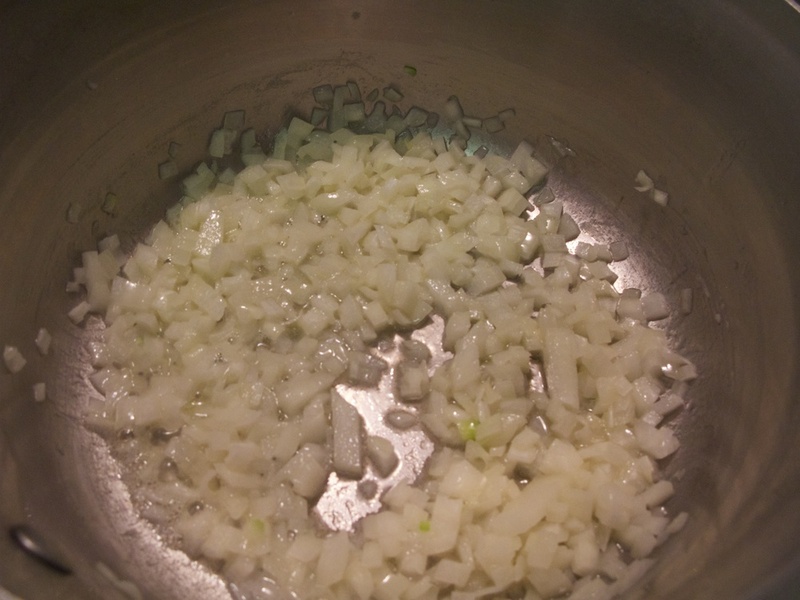 Melt 1 1/2 tablespoons butter over medium heat and add the diced onion. Sauté until translucent, about 5 minutes. Stir in the chard and a pinch of salt. Cook for 3 minutes. 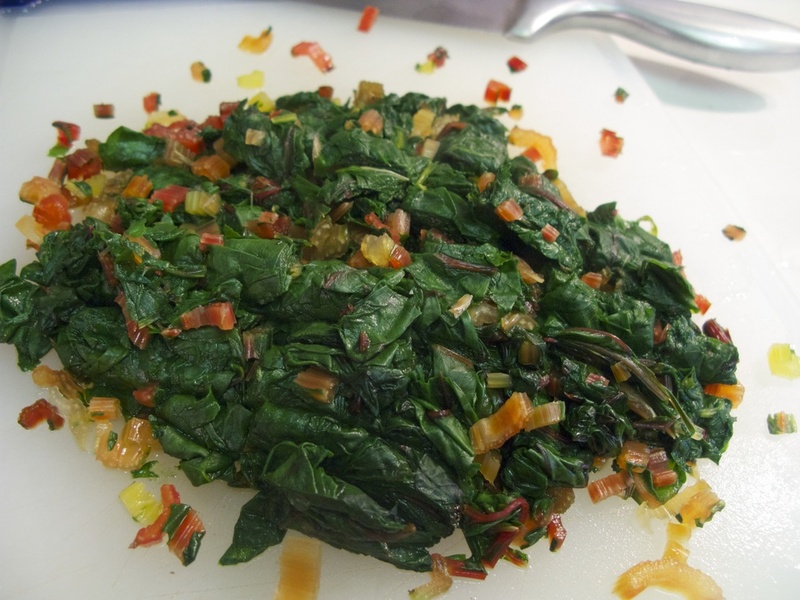 Sprinkle chard with flour. Stir well, and add the milk and grated nutmeg. Cook for 5 minutes, stirring occasionally. Add more milk if the mixture gets too thick, but the chard should not be floating in liquid. Taste and add salt if needed. 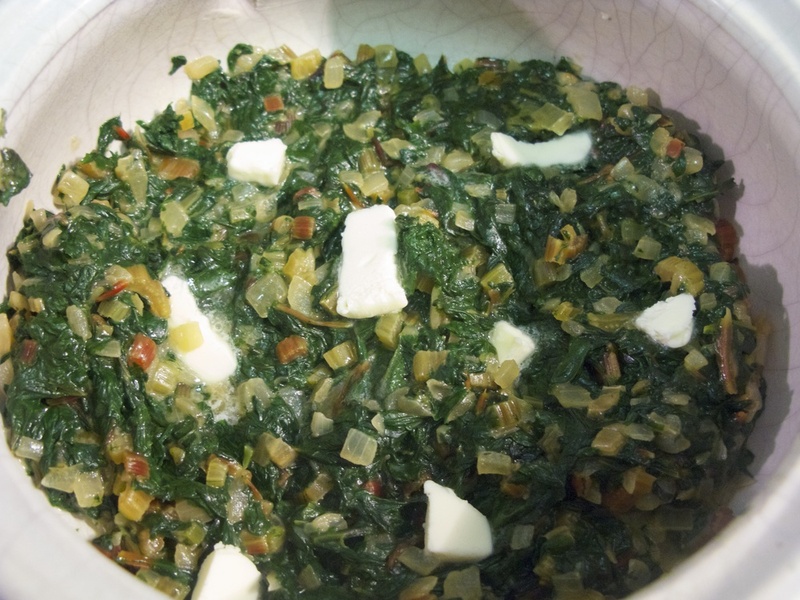 Butter a small baking dish and spread the chard mixture evenly in the dish. Dot the top with butter, if you like. Sprinkle the breadcrumbs over top and bake in a 350ºF oven until the gratin is golden and bubbling, about 20 to 30 minutes. Enjoy!